Bruker announced at the 2012 Materials Research Society (MRS) Fall Meeting the release of a new line of IRIS TERS Probes. By enabling Tip-Enhanced Raman Spectroscopy (TERS), the new IRIS TERS probe tips provide users a complete path to non-destructive, label-free chemical detection at the nanoscale. As sharp, solid-metal cones, IRIS TERS Probes are designed to deliver the highest Raman enhancement, which translates to highest sensitivity and spatial resolution. Together with Bruker's Innova-IRIS system, and third-party research Raman systems, IRIS TERS Probes can create the highest-performance complete commercial TERS solution. "It is widely understood in the TERS community that the single issue preventing further adoption is lack of available high-performance probes," said Mark R. Munch, Ph.D., President, Bruker MAT Group and Bruker Nano Surfaces Division. "By addressing this key gap, we are making TERS more widely available, addressing the unmet need for nanochemical identification." "With their proven TERS contrast capability, the IRIS TERS Probes are an expression of our commitment to moving atomic force microscopy beyond just imaging," added David V. Rossi, Executive Vice President and General Manager of Bruker's AFM Business. "The nanoscale chemical information provided by our complete TERS solution joins our recent advances in quantitative nanoscale property mapping with PeakForce QNM, PeakForce TUNA, and PeakForce KPFM." IRIS TERS Probes are fully compatible with the Innova-IRIS systems. 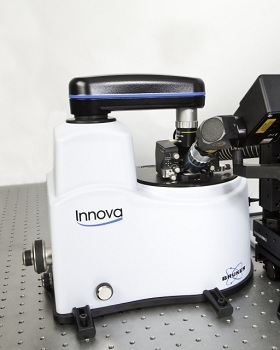 All existing Innova-IRIS systems only require a new cartridge to start using them immediately, and any existing Innova can be upgraded to an Innova-IRIS AFM-Raman system. 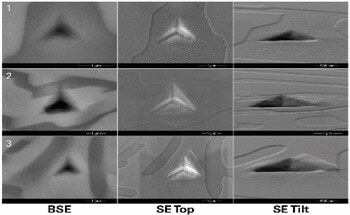 Utilized on the Innova-IRIS, the IRIS TERS Probes enable TERS on opaque samples using scanning tunneling microscopy (STM) feedback. Being made of solid gold, the IRIS TERS Probes are optimized for highest TERS enhancement at red and near-infrared Raman excitation wavelengths. 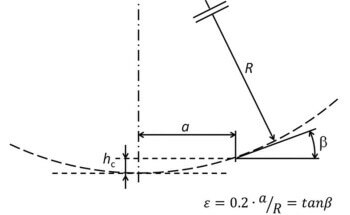 They retain their high enhancement over a long shelf life, thus guaranteeing highest TERS sensitivity and spatial resolution. Together with the Innova-IRIS system, the IRIS TERS Probes provide a high-performance commercial TERS solution, removing the need for TERS researchers to be their own TERS tip fabrication experts.